The purpose of the club has expanded over the years to include more than just diving with experienced and safety conscious divers. We've taken up some very important causes along the way. We adopted a dune in Ortley Beach, for example, and we lend our voice to ecological issues concerning the Jersey Shore as well as national marine conservation and the building of local artificial reefs. 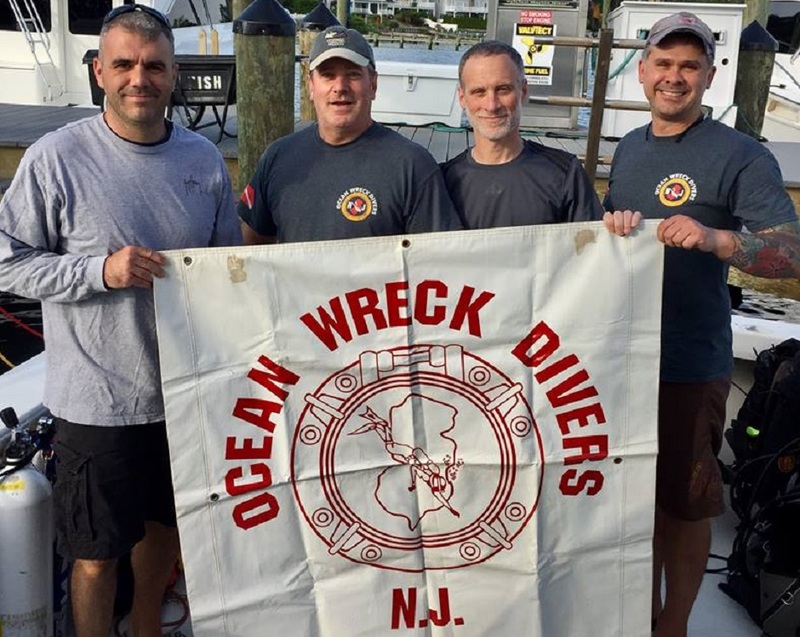 Ocean Wreck Divers has sponsored the placement of several vessels on three of New Jersey's artificial reefs, including barges, a tugboat, a retired U.S. Coast Guard rescue boat, as well as a retired National Guard tank and a tanker. 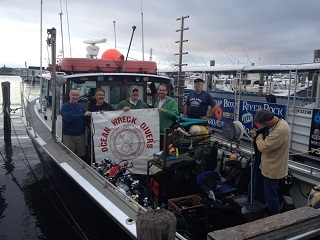 Ocean Wreck Divers also supports several diving, historical and environmental organizations. 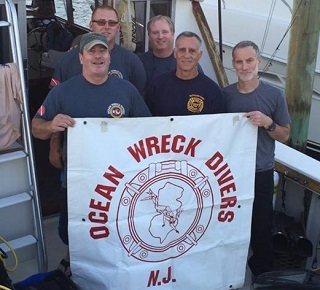 Ocean Wreck Divers has a diverse membership consisting of divers of various skill levels, from veteran experienced NJ wreck divers to enthusiastic recently certified divers looking for dive buddies and more experience. 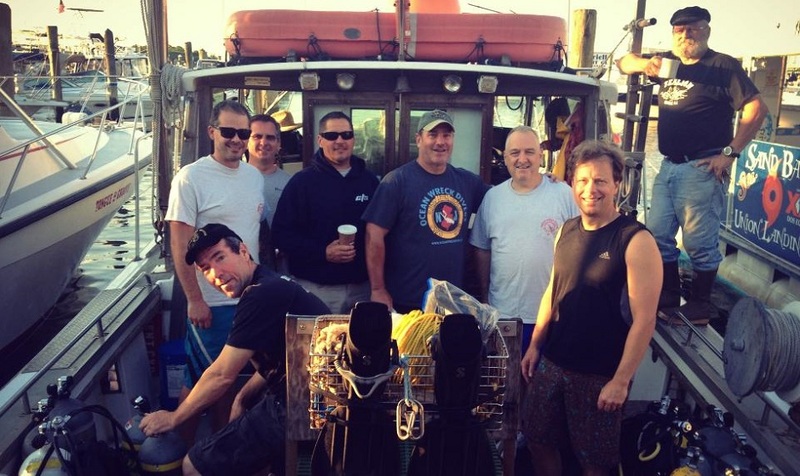 In 2014, the club has scheduled over a dozen boat dives during the summer dive season to visit different New Jersey wrecks. 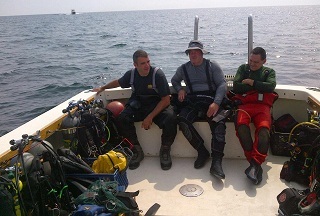 Some shore dives and a shore dive/BBQ are also in the planning stages. 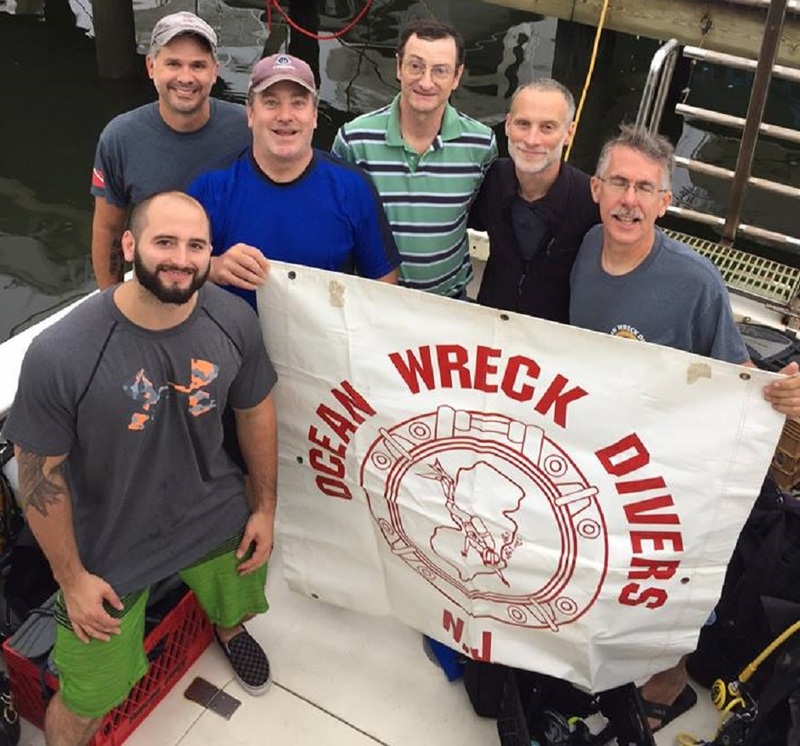 If you are interested in becoming a member of Ocean Wreck Divers, we ask that you attend 3 meetings and have a valid and recognized certifying agency card (PADI, NAUI, or any nationally recognized agency). At the third meeting, we'll need a copy of your "C" card and have you fill out an application and pay your first year's dues ($35.00, $25.00 annually thereafter). We vote you in that night, if everything is in order. Annual dues are due November 1st of each year. Please know, we ask that our members contribute their time to our fundraising events in one way or another. Attendance at meetings will give you the best opportunities to get on the dive schedule. 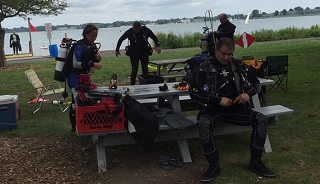 We have an active dive season planned. We are looking for people who are sensible, competent and safety minded. We recommend that you carry D.A.N. insurance, because it's sensible. We all do. We enjoy local diving with its spectacular wrecks and sea life. Come join us!